hey so i can hear you thinking maybe i need to calm down and stop buying blush (NEVER) but aren't these stunning?! as though i didn't profess my undying love for paul & joe enough in my post about their pearl primer, i'm now going to rave about these super pretty cheek colours. i'd been lusting after them for months but couldn't justify spending more money on expensive blush i don't need (go figure), but then i happened to browse ASOS during a huge sale and found these for about 30% off so i had a bit of a treat yoself moment. beautybay normally sells these for a little bit cheaper but when ASOS has sales or sends out discount codes their makeup section can be great to buy from, and let me tell you it's been seriously pimped out in the last few months on top of that. with some paul & joe products like their lipsticks and these blushes you actually have to buy the compacts and the refills separately. 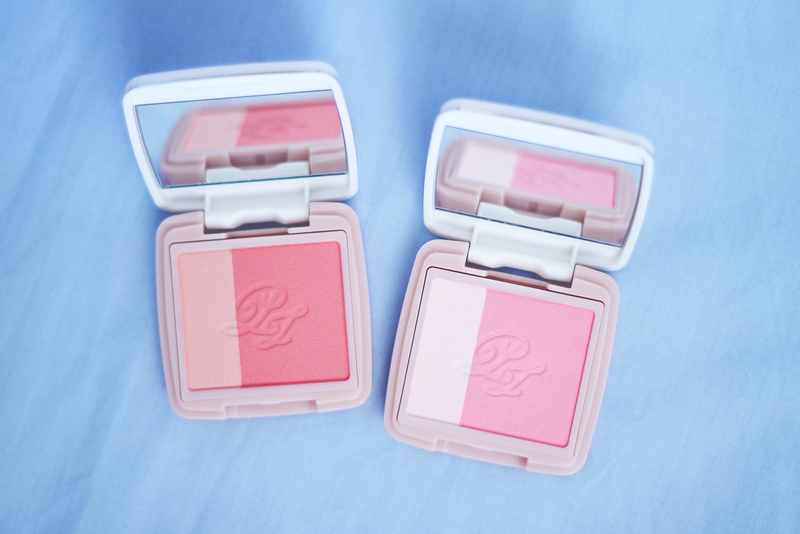 it makes their blushes pretty affordable but i didn't want to have to change them in and out of the one compact so i just bought two. the shades i bought are gamine (05) the pale pink, and cinema (04) the peachy coral. and of course you can wear the two colours separately or mix them together. 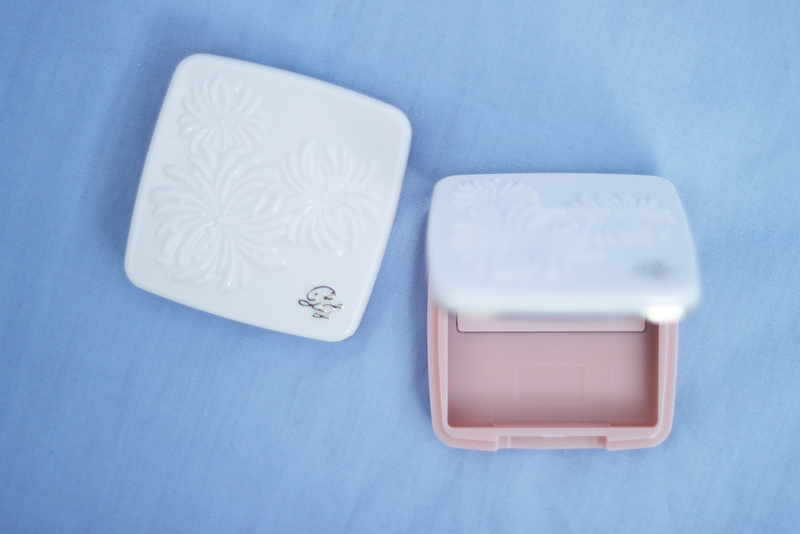 if you were wondering, the refills come in quite sturdy plastic packaging that you can reseal and could happily store them in so there'd be no harm in buying a few blushes and just one compact, and they change in and out really easily because everything is magnetic. i really can't recommend these blushes enough, they have a great colour range, i find the pigemtation to be really comfortable, i.e. the colour shows up easily but you don't have to be super careful for fear of looking like a clown, and of course, have you seen the packaging?! they're what weird makeup obsessed dreams are made of. haha we definitely do but i can't help it! Those compacts really are so pretty! I love Cinema. ASOS is the best for getting branded things on sale/discount, go you. I love this series that you are doing! I don't wear make-up at all, BUT I really love make-up products and their packaging. If only everything else we bought was packaged so nicely! definitely, i usually wait until there's a sale or i have a discount code to buy most of the expensive things i really want. 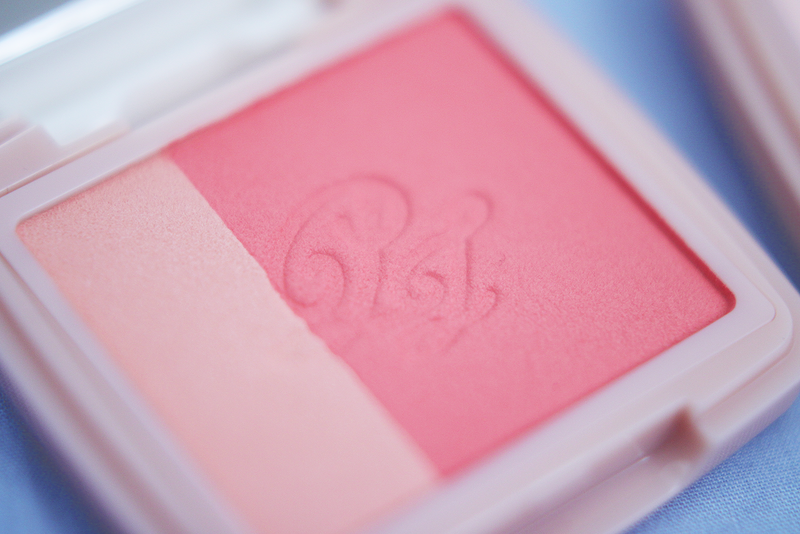 and i used to literally own and wear one blush until one day i decided i needed to own about a million of them, haha. These are so wonderfully lovely. 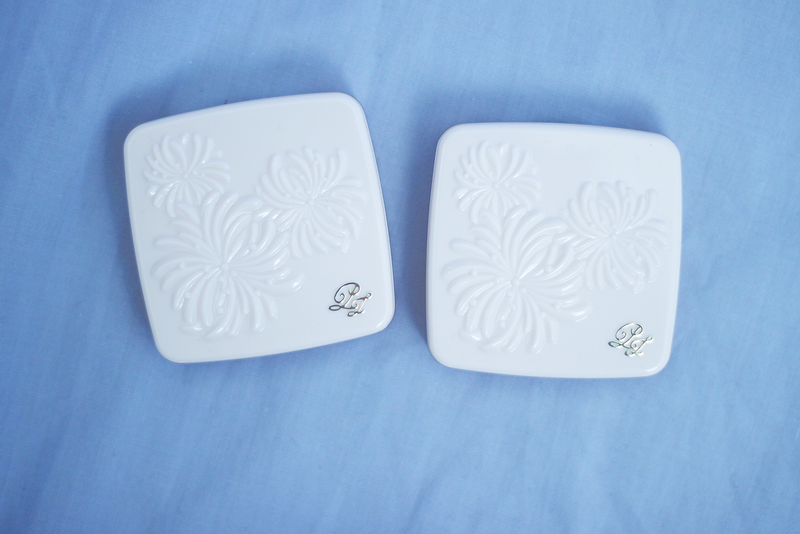 I just adore the elegant embossed containers that they come housed in. There's much to be said for cosmetics that can do double duty as art when displayed on a vanity, counter top, dresser, etc. Thank you very much, sweetheart, for your trio of terrifically nice blog comments yesterday. I really appreciate and enjoyed reading all of them. I didn't dislike green before this year (how could I when it's my eye colour? :)), but for reasons unknown, I owned very little. Every time I would wear it, I'd find myself wishing I had more, and that's what lead to me dubbing it my colour of the year for 2013. I'm so glad that I did, because I've really come to learn that it's (humbly) one of my best colours. I hope that if you decide to start stocking up on it, too, that you'll fall as head-over-heels for green as I have (I suspect it would look stunning with your skin and hair tones!). 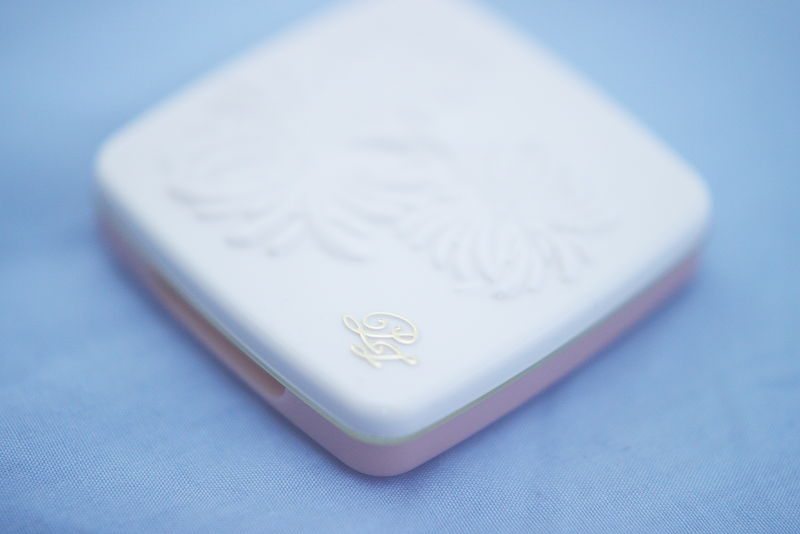 These compacts are seriously the CUTEST! I love all of your beauty posts! These are so gorgeous! Ahh, I really need to invest in some Paul & Joe makeup. I cannot pass up the cute packaging any longer! I just had a look on ASOS of all the shades and you definitely bought the best ones. I love how they come with a lighter colour, which I guess could be used as a highlight too. I really love the look of Cinema. I cannot pass up a good coral shade! 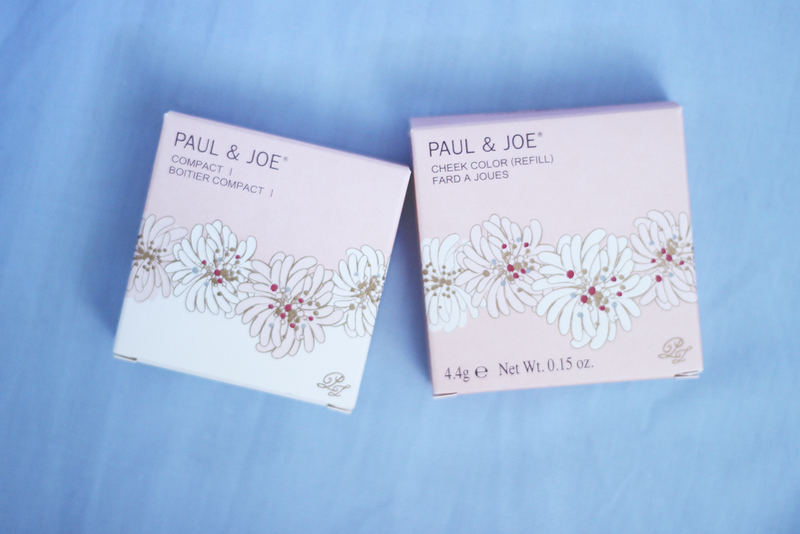 I've never tried Paul & Joe products before but I keep looking at them on online stores such as ASOS. They sound and look like lovely products and I think these blushes might be the first products I go for. I love blushes but I can never decide on a shade. Cinema looks gorgeous though. they are so lovely, i definitely recommend trying out something from their range! it's great because all the products i've tried have been really good quality as well as looking so cute, so they're definitely worth spending a little extra on. AHH you always have the best makeup finds, these look so cute! 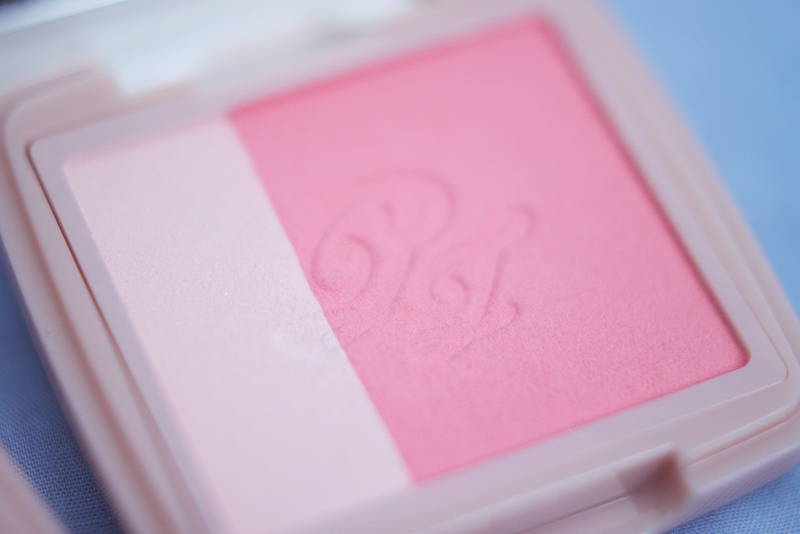 I currently use a blush by Pixi (its more of cheek gel) which I really like too! I love the fact that you can actually buy just fillings for the case of the blush. Especially since the case is so pretty. I like this series you're doing !! i never see them in australia either, i've just bought their products online which can be a bit of a risk but i've never been disappointed so far. These blushes are pretty I don't blame for buying a lot of them! Fantastic reviews! I am tempted by these perfect pretties! So pretty! And again, I'm always drawn to the coral ish one! The shades are so beautiful, I need these in my life!